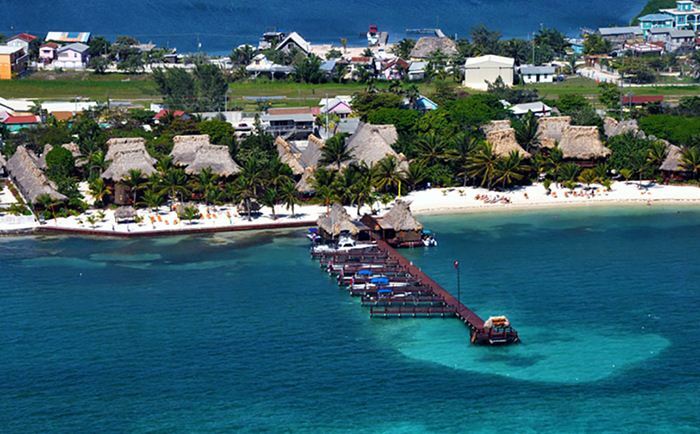 Ramons Village is located on the south edge of Ambergris Caye's picturesque San Pedro Town. The Village offers island accommodations in true tropical style with sixty-one authentic thatched-roof cabanas nestled among coconut palms and flaming flamboyant trees, while colorful bougainvillea, hibiscus and a fanfare of other tropical flora and fauna join together to create the perfect backdrop for your island sabbatical. Marvel at the stunning tropical lagoon-style pool, all the while being pampered by Ramons renowned staff. Ramons Village boasts its own restaurant that offers a wide range of delicacies including oriental, cajun and local favorites. There are also weekly beach barbecues and the Sunday Buffet. You may choose to dine indoors or outside on one of the palm-shaded multilevel verandas overlooking the Caribbean. After dinner enjoy live music and a cocktail at the world-famous Purple Parrot bar. With its beautiful white sandy beach, ideal location and bountiful hospitality, Ramons Village is an excellent accommodation for your Belize tropical vacation.